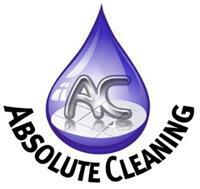 Absolute Cleaning Solutions are your one stop for all your cleaning needs. So if you are looking for an end of tenancy cleaning in Hemel Hempstead, you can stop your search right here. Or perhaps you need a builders clean in Dunstable, you are at the right place. Our services range from tenancy cleaning to builders cleans as well as carpet steam cleaning. We also carry out oven cleaning as part of our tenancy cleans. Therefore you dont need to hire multiple companies, you can just count on us to cater for all your cleaning needs. We offer end of tenancy cleaning in Dunstable, end of tenancy cleaning in Harpenden, end of tenancy cleaning in Luton and all the other areas in between. You can also find us carrying out end of tenancy cleaning in Bedford, or it could be we are doing an afters builders clean in Hitchin. We breathe and sleep cleaning. It could be your carpets are looking tired and grubby you can call on our expertise as well as our powerful machines to lift the dirt out.